Even the best teams trip up eventually, and Milan is hardly the best team this year. But after a spectacular run of eleven straight league games unbeaten, with draws to Roma, Empoli, Udinese, and Napoli as well as seven wins dating back to January 9th, it hurts to lose. Especially to a team to whom we’ve never won when playing away in the league. As well as losing to the team sitting right behind us on the table. But if you didn’t see this coming, then you failed to read the writing on the wall. The most difficult part of a loss like this is not even the three points or how it affects our position on the table, but how the team performed. Whereas in so many of the matches lately, it’s been difficult to choose a man of the match, for this one, it was difficult to choose a fail of the match. The tabloid-style journalists and social media will say that it was Balotelli, because that gets you more clicks. But starting in the league for the first time since his injury, he actually had a higher rating from Who Scored than his in-form strike partner Bacca, who had half the possession as Balotelli with fewer excuses. Balotelli’s start was much criticized even ahead of the game by those who apparently don’t read, but was necessary due to fitness and availability of pretty much no one else. Those calling for Menez to have started ahead of Balotelli might be interested to know that in his 35 minutes, being even less fit than Balotelli, he also got a lower rating than Balotelli from Who Scored. And this sad tale gets even sadder when you look at the impressive attacking trident Di Francesco had at his disposal. Take a bow, Duncan, you deserve it. That was beautiful. Painfully beautiful. I could write paragraphs about how poor everyone was, but it was really the team’s performance at large that cost us. We came out with our gloves on for the first half, like literally Bonaventura got a yellow card in the first minute. On the whole, we took 13 shots, with five on target, which is not bad, but worse when you consider that most of them happened in the first thirty minutes. But then we faded after the first goal, a brilliant shot from distance by Duncan in the 27th. 1-0 Sassuolo. Small consolation here in that Berardi’s assist on this goal was the only place you’ll see his name on the scoresheet this time around. Donnarumma took over after that, facing 16 shots with four on goal, including a couple of his trademark superhuman saves. Unfortunately, not even Donnarumma could save the second goal, which Sansone scored in the 72nd, just minutes after Romagnoli replaced the apparently unfocused Zapata. 2-0 Sassuolo. There was a bit of controversy here as Biondini brought his cleat down on Bertolacci’s thigh area well before the shot was taken, but no foul was called, and the goal stood. This incensed Mihajlovic, who complained to Giacomelli, who then sent off the coach (no water bottles were harmed in this episode.) 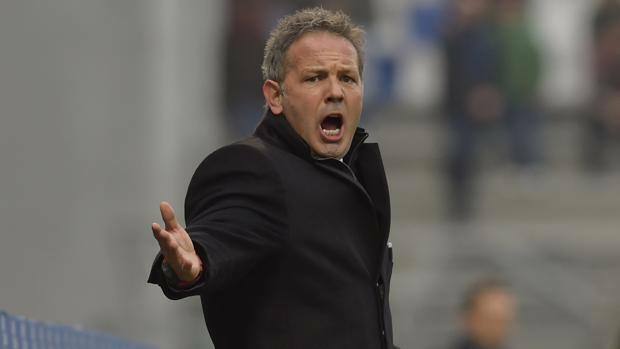 In his post match comments, Mihajlovic admitted to sharing some choice words with Giacomelli, but only after the sending off. So we’ll see what the league has to say about that and who will be on the bench on Sunday. Two wrongs don't make a right, Mister. In keeping with the low-impact subs, Boateng came on for Honda in the 82nd. And Kucka took a knock late in the match as he tried to jump over a player. Hopefully it was nothing serious. Sassuolo won’t be so lucky, as they had two players subbed off due to injury by the 63rd, Cannavaro and Missiroli, with the latter stretchered off the pitch and looking quite serious. They will also be without Defrel in their next match, who got a yellow in the 63rd, and a second yellow for a foul on Kucka in the 76th, so was sent off. And while those losses may impact whether or not they can catch us anytime soon, we couldn’t catch them or even get a consolation goal with them playing on ten men for the last 15 minutes or so. 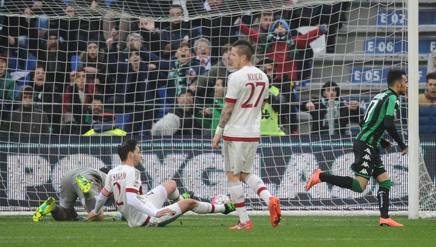 In fact, they fired like crazy in the final minutes, Donnarumma got quite the workout. That’s how bad it was. And how good Sassuolo was, they deserve massive respect for their season to date and especially this match. However if you are thinking this was an end of the world match, it wasn’t. I’d made a deal that I would use the word “consistency” in regards to the team if we won or at least performed well up through this match. Because having watched football for a couple of years, I know that the rebuilding process is not without setbacks. This is one time I wish I was wrong, but I also know that given what we’ve seen since January 9th, we will see more good things again. Possibly soon. Our striker situation is pretty poor at the moment, but if and when Balotelli, Menez, and/or Adriano can regain match fitness, there is no reason to believe we can’t at least hold our sixth place spot and qualify for Europa League. If we're not careful, we'll be chasing Sassuolo in the league soon, too. 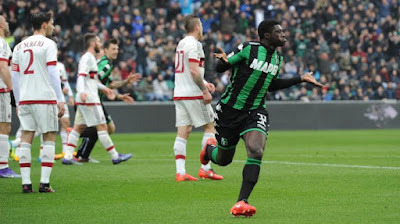 That goal is important, especially now that Galliani is focusing on winning the Europa League final in May to distract from the mindnumbingly poor decision he made that could single-handedly keep Milan from achieving his goal of reaching the Champions League. But hey, who needs the €90m+ that Juve got from Champions League last year for getting to the final when we could get almost €10m+ from playing in the Europa League instead? And bag a meaningless Coppa Italia trophy and wear a patch on our kits next year (if we can somehow beat Juve in a one shot match?) And get €13m from Roma for El Shaarawy (after giving them €45m for Romagnoli and Bertolacci last year?) With such brilliant decision making from the top, it’s amazing Milan played as well as they did for so many matches. I mean the writing was on the wall. Is Milan Better Than Last Year?